A third man has been charged in connection with the murder of Alington Caine. 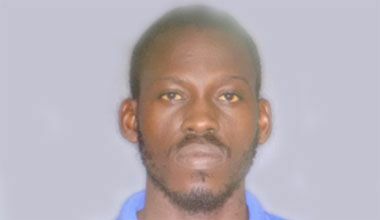 Thomas is now charged, along with fellow Union Island residents Derrol Small, 26, and Kemroy Craigg, 20, for Caineâs murder, which occurred on August 1, 2015 â Emancipation Day. Small and Craigg were both charged on August 5. Caine, a 29-year-old security guard of Union Island, originally from Byera, died after he sustained a puncture wound to his head, following an altercation with three men at Stick Bar, in Clifton, Union Island, at about 5 a.m.
A post mortem report revealed that Caine died as a result of blunt trauma to the head.